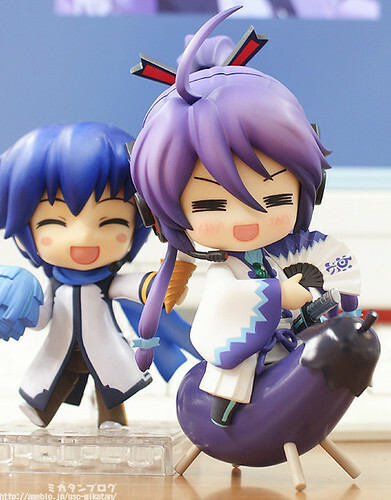 Nendoroid Kamui Gakupo is finally getting a preview treatment by Mikatan. This Samurai-themed Vocaloid character, who is popular among the female fans, will bring along three expressions, his sword Gakuto Mifuri, a folding fan, and a ride-able eggplant. Anyway, kindly see more pics of this cute Nendoroid on Mikatan’s blog. Oh, and he will be available for pre-order starting tomorrow! 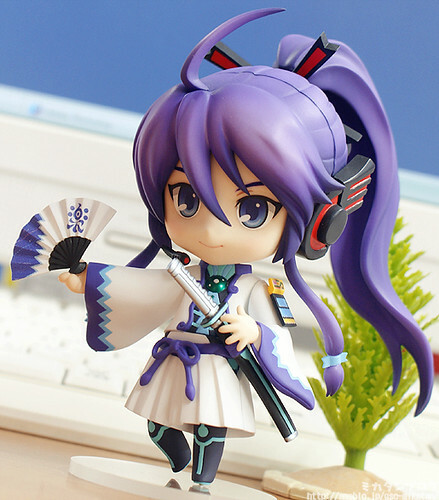 This entry was posted in News and tagged gackt, gakupo, kamui gakupo, nendoroid, vocaloid. I really love his expression when he rode on the eggplant.